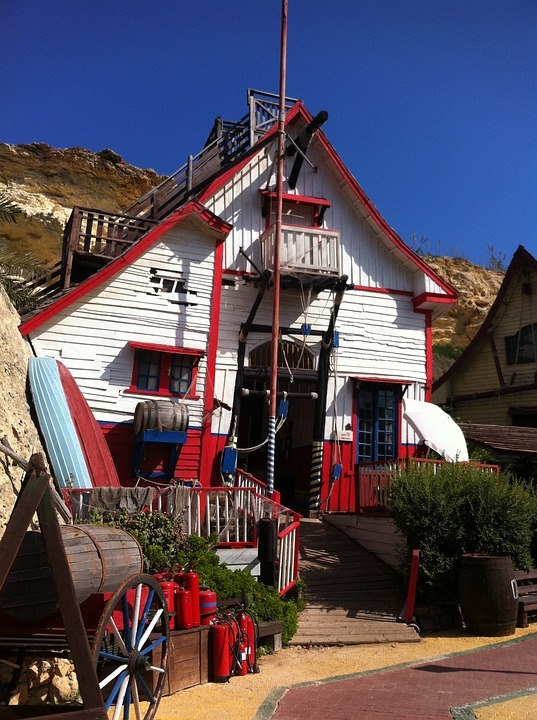 Popeye Village, also known as Sweethaven Village, is a purpose-built film set village, now converted into a small attraction fun park, consisting of a collection of rustic and ramshackle wooden buildings. It is located at Anchor Bay, 3 kilometres (2 mi) from the village core of Mellieħa, Malta. It was built as a film set for the production of the 1980 live-action musical feature film Popeye, produced by Paramount Pictures and Walt Disney Productions starring Robin Williams. Today it is open to the public as an open-air museum and sea-side resort.